Add this FREE product to your cart and complete registration. 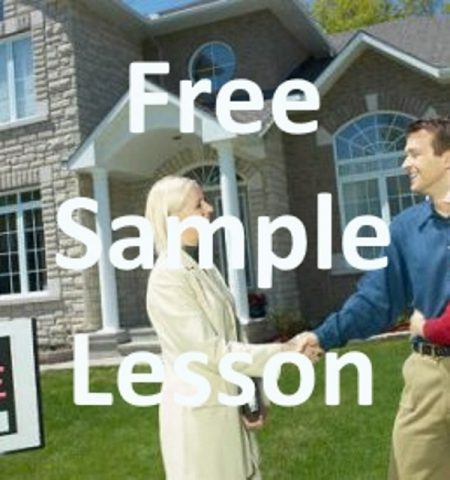 You will be taken to a live sample lesson so that you can see how our system works. ACRE School has the highest pass rates at the most reasonable cost. As with all of our courses, Instructor support by phone and email is included. No tricks, no up-sells, just the effective course you need at a price that is affordable. Don’t be fooled by schools advertising pass rates that are untrue. DORA publishes pass rates. Click here for the 2018 1st Time Pass Rates or click here to see the pass rates on the DORA website. The 2018 ACRE School Colorado Exam pass rate was 91%, the average for all schools was 66%. Our National Exam pass rate was 70%, the average for all schools was 62%. Please compare us to the “Discount Video Courses”. Our course is fully guaranteed. If you don’t pass the exam the first time you take it, we will pay your retake fee*.